Iestyn Davies is a British countertenor widely recognised as one of the world’s finest singers, celebrated for the beauty and technical dexterity of his voice as well as for his impeccable musicianship. Simply put, he is one of the best countertenors in the world, performing regularly in lead roles at the world’s most important opera houses (the Metropolitan Opera, the Glyndebourne Festival, and Covent Garden). While widely respected as an opera singer, he is also valued as one of the finest interpreters of early and contemporary song repertoire. This concert highlights his work with English composer Michael Nyman, the songs of Henry Purcell, and a new commission by Canadian composer Jon Wild, all accompanied by Fretwork, England’s celebrated viol consort. Expect bold harmonies, wondrous inventions, and melodies that will haunt your dreams – whether from the 17th century or the 21st. 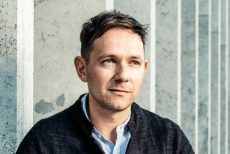 Iestyn Davies is a British countertenor widely recognised as one of the world’s finest singers celebrated for the beauty and technical dexterity of his voice and intelligent musicianship. Critical recognition of Iestyn’s work can be seen in two Gramophone Awards, a Grammy Award, a RPS Award for Young Singer of the Year,the Critics’ Circle Award and recently an Olivier Award Nomination. He was awarded the MBE in the Queen’s New Year’s Honours List 2017 for services to music. Although blessed with a Welsh name, Iestyn hails from York, born into a musical household, his father being the founding cellist of the Fitzwilliam String Quartet. He began his singing life as a chorister at St John’s College, Cambridge under the direction of Dr.George Guest and later Christopher Robinson.Later, after graduating in Archaeology and Anthropology from St John’s College, Cambridge Iestyn studied at the Royal Academy of Music, London of which he is now a Fellow.In 2015 he delighted London theatre audiences singing the role of Farinelli in the play, Farinelli and the King with Mark Rylance at the Globe Theatre. The hugely successful project transferred to the West End this season and was nominated for a number of Olivier Awards. His operatic engagements have included Ottone (L’incoronazione di Poppea/Monteverdi) for Zürich Opera and Glyndebourne Festival Opera; Arsace (Partenope/Handel) for New York City Opera; Oberon (A Midsummer Night’s Dream/Britten) for Houston Grand Opera, English National Opera and The Metropolitan Opera, New York; Apollo (Death in Venice/Britten) for English National Opera and in his house debut at La Scala, Milan; Hamor (Jephtha/Handel) for Welsh National Opera and Opera National de Bordeaux; Steffani’s Niobe at the Royal Opera House, Covent Garden; his debut at The Metropolitan Opera Unulfo (Rodelinda/Handel) where he has also appeared as Trinculo The Tempest; the Lyric Opera of Chicago in Rinaldo; Bertarido Rodelinda for English National Opera; his debuts at the Opéra Comique and the Munich and Vienna Festivals in George Benjamin’s Written on Skin and the title role Rinaldo for Glyndebourne Festival Opera. He returned to Glyndebourne in 2015 for David in Handel’s Saul. His concert engagements have included performances at the Teatro alla Scala, Milan with Dudamel, the Concertgebouw and Tonhalle with Koopman and at the Barbican, Théâtre des Champs-Élysées, Lincoln Centre and at the BBC Proms in the Royal Albert Hall with orchestras that include the Bournemouth Symphony Orchestra, London Philharmonic, Britten Sinfonia, Concerto Köln, Concerto Copenhagen, Ensemble Matheus,the Orchestra of the Age of Enlightenment, Academy of Ancient Music and Scottish Chamber Orchestra. He recently made his debut, in recital, at Carnegie Hall, New York. He enjoys a successful relationship with the Wigmore Hall, where, in the 2012/13 season, he curated his own residency. Recent highlights have included two Bach recitals at the Edinburgh International Festival, Britten’s ‘A Midsummer Night’s Dream’ at the Aldeburgh Festival and Schubert’s ‘Die Schöne Müllerin’ with Julius Drake at Middle Temple Hall, London. Future plans include Thomas Adès’s “The Exterminating Angel’ at the Metropolitan Opera New York and Farinelli & the King with Mark Rylance on Broadway, New York. His recordings include two versions of Handel’s Messiah(New College Oxford, AAM/Naxos) and (Polyphony, Britten Sinfonia/Hyperion), Handel’s Chandos Anthems on Hyperion, Handel’s Flavio for Chandos with The Early Opera Company and Christian Curnyn, Bach’s Easter Oratorio with Retrospect Ensemble, his debut solo recording Live at the Wigmore Hall with his own Ensemble Guadagni,a disc of Porpora Cantatas with Jonathan Cohen and Arcangelo,an award winning disc of works for Guadagni for Hyperion and a disc of Handel arias with The King’s Consort for Vivat. 2014/5 saw the release of The Art of Melancholy, a recital of Dowland songs for Hyperion, Flow my tears, songs for lute, viol and voice on the Wigmore Live label and Arise my muse for which he received the Gramophone Recital Award. He has added recordings of Bach Cantatas with Arcangelo, Faure Songs with Malcolm Martineau and looks forward to the release of Bach’s Magnificat and B Minor Mass in the coming months both for Hyperion.He is the recipient of the 2010 Royal Philharmonic Young Artist of the Year Award, the 2012 & 2014 Gramophone Recital Award, the 2013 Critics’ Circle Awards for Exceptional Young Talent (Singer). Few other ensembles can match the range of Fretwork’s repertory, spanning as it does the first printed music of 1501 in Venice, to music commissioned by the group this year. Their recordings of arrangements of J. S. Bach have won particular praise, but they have recently issued a disc containing music by Grieg, Debussy, Shostakovitch, Warlock & Britten. This extraordinary breadth of music has taken them all over the world in the 25 years since their debut, and their recordings of the classic English viol repertory – Purcell, Gibbons, Lawes & Byrd – have become the benchmark by which others are judged. Their 2009 recording of the Purcell Fantazias won the Gramophone Award for Baroque Chamber Music.